Well, that’s it . . . the Miami Rum Renaissance Festival came to remedy the world of all its wrongs, and restore harmony, peace, and justice not only to all humanity, but inexplicably to the animal kingdom as well. Now it’s gone. I did not attend this year. Hopefully next year. In anticipation of the festivities, I decided to do a bit of research by sampling lovely rums, after venturing up to Chicago recently and buying two rums unavailable to my home state. Tanduay from the Philippines, and Hamilton 151 from Guyana (the awaited creation offering to rebalance the universe from the tragedy of losing Lemon Hart 151). I made two Mai Tais, based on Trader Vic’s 1944 version, for a side-by-side experiment, substituting these two rums in for the recipe’s dark Jamaican and amber Martinique rums. Tanduay Silver, which I was quite taken with at last year’s rum festival, is a straw-colored rum due to its moderate filtering to enhance flavor. The sweet aroma is a little vegetal, slightly similar to an agricole, as well as smelling clean, without a burning fume for my ignorant sense of smell to enjoy. I apologize for my lack of skill in describing tasting notes. Rhum agricole is one of the two rums used to imitate the original and extinct J. Wray & Nephew 17 year, the key ingredient in the original recipe. My favorite agricole is from Martinique, specifically the Clément, which deservedly masters its role in the Mai Tai. I am not saying Tanduay is similar to Clément. I am saying Tanduay is as good as Clément. Not only the top-selling rum in Asia, Tanduay is the second strongest seller worldwide, second to the marketing powerhouse of Bacardi (I am not up to date on current fiscal earnings). As for the tasting notes, what I taste is bell pepper, the funk aspect of honey, black peppercorn, maybe butterscotch…or is it toffee? I don’t know – I taste a lot of things, and am embarrassed to not be able to put it all into coherent thought and syllables. For an expert review, please click here. The Rum Howler not only has a discerning palate, but the ability to explain such things well. I highly recommend his expert reviews not only of rum, but other spirits. Hamilton 151, subtitled “Ministry of Rum Collection,” which I particularly enjoy reading on the front of the bottle since I have learned from our ministry for some years, is a demerara rum, a dark rum, a spiced rum, and dangerously also an overproof rum. Above all, it takes on the responsibility of saving a world without the legendary Lemon Hart 151. Lemon Hart has had some tough times, recently bought by a Canadian company to continue the legacy, only to fall short of the desired financial success. No longer bottled, we are at a loss, like children suddenly finding ourselves lost in the wilderness by night. What are we to do? Seriously, what are we going to do? What do we float our tiki drinks with? We need a dark demerara overproof with the wherewithal to stand defiantly on the mountaintop and bellow during the crushing storm. We had it, and we lost it. Edward Hamilton, who manages the website ministryofrum.com, tried to help. In the end, the overproof version of the company would not survive. So Mr. Hamilton helped in another way by starting afresh with a new rum with the goal of coming close to the highly complex flavors of Lemon Hart 151. His Hamilton 151 was born, and not an easy task I would assume. For those who have tasted Lemon Hart 151, you know what towering height this achievement would seem. For those who have tasted both, please let me know what you think. Does Hamilton come close enough? The tasting notes of this rum are beyond me. Too much goes on, elusive, and yet obviously luring me with a long list of clues. The best I can do is tell you this story in hopes you search the rum out for yourself. It is worth it. Back to the ingredient for the Mai Tai, Hamilton 151 is not a dark Jamaican rum, yet rich and oaky, sweet and bold. I usually use Myers’s or Coruba for this category. 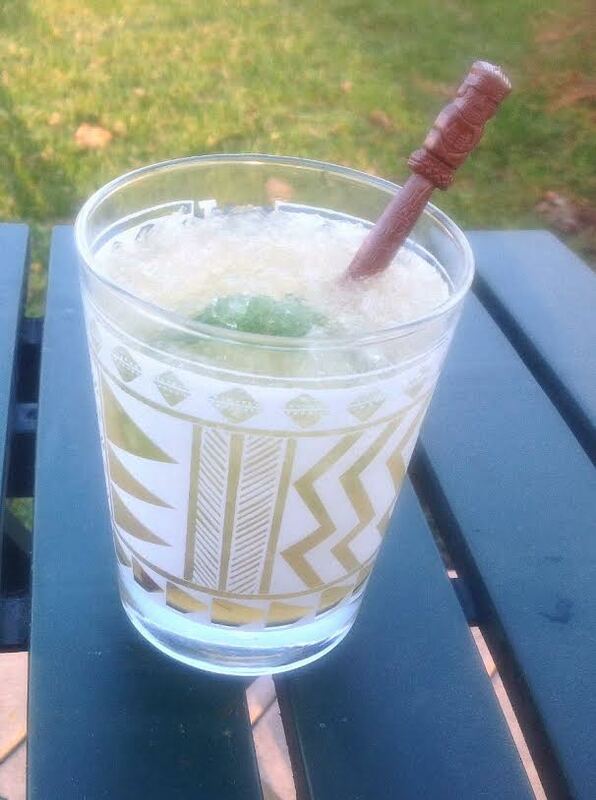 The second part of the experiment is comparing Jeff Beachbum Berry’s research of Trader Vic’s Mai Tai with Trader Vic’s own, going by their prospective books, Remixed, and Tiki Party! There is one difference in their recipes: The amount of freshly squeezed lime juice, whether one ounce, or only a half ounce, which sounds like a huge difference. 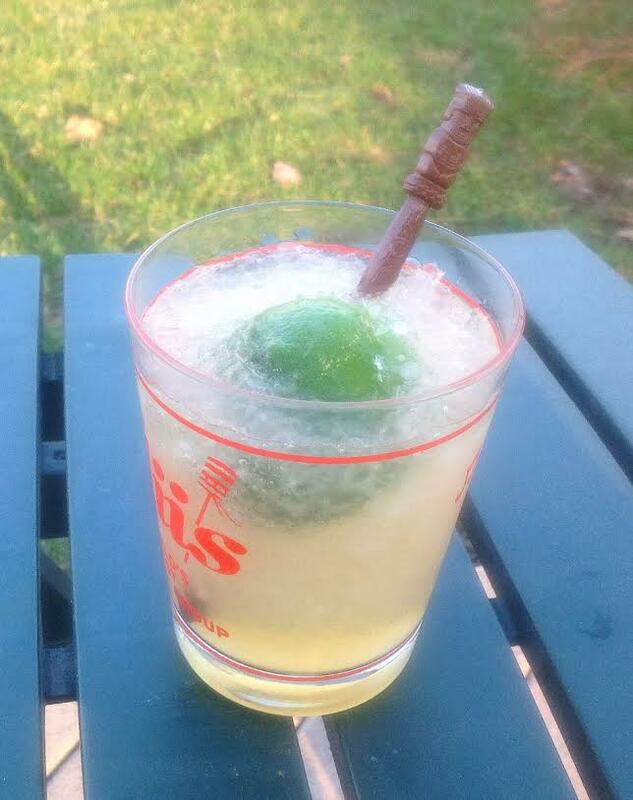 If you look around, you will find Trader Vic Mai Tai recipes with one ounce measurements for lime juice. This book has a different recipe, perhaps for the reason of using Trader Vic brand rums. Regardless, this is a fun way to try a published recipe against another published recipe. Shake ingredients vigorously for a few seconds until very cold, and pour unstrained into a chilled double old-fashioned glass. Garnish with one of the spent lime shell halves, and a healthy sprig of mint. Sorry, I have no mint (too early in the year for outdoor growth). After tasting both drinks, the obvious was obvious. The Mai Tai with more lime simply tasted more tart. The one with less tasted sweeter. The Tiki Party! Mai Tai, however, hid nuances where the Remixed Mai Tai revealed. Then I toasted the Burr family with both drinks, and went back to remembering the rum festival.